We’d love to have been in the boardroom when this idea was first brought up. 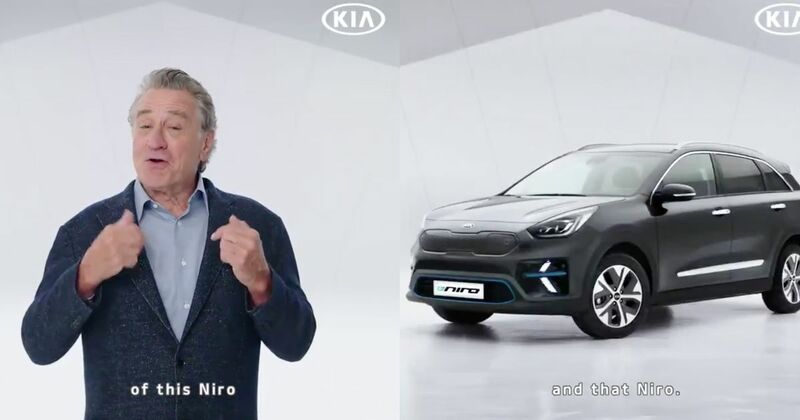 In a what you do there, I see it advertising deal of epic proportions, Kia has managed to snare two-time Academy Award-winner Robert De Niro to promote the…E-Niro. Is it genius? Is it a little cringey? We’ll let you thrash that one out in the comments, but we’re leaning towards the former. As part of the deal, the star of Taxi Driver, The Godfather Part II and - of course - petrolhead-favourite Ronin will appear in E-Niro adverts on TV, print and the Internet. 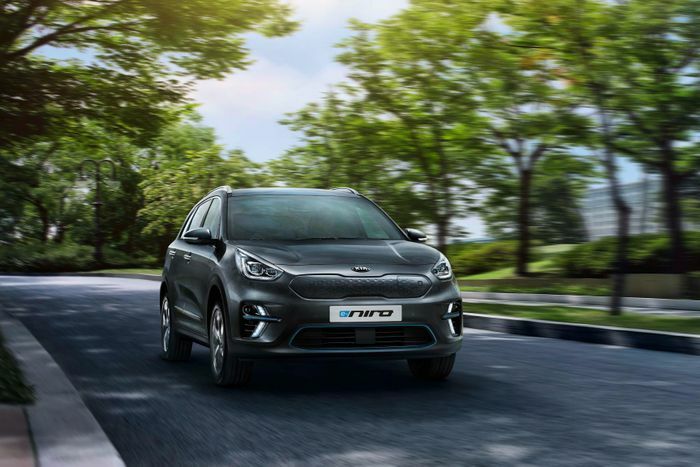 “Kia’s partnership with De Niro will draw on the actor’s inimitable character and sense of humour to draw attention to the e-Niro’s numerous benefits,” said Artur Martins, Kia Europe’s vice president of marketing. As for the car, it’s available with either a 39.2kWh or 64kWh battery pack. Opt for the latter, and you’ll have a range of 301 miles - more than a Jaguar I-Pace. It’s not as quick as the much posher and more expensive Jaguar (or the more recently revealed Mercedes EQC and Audi E-tron, for that matter), but it’s not slow either: the E-Niro with the larger battery will do 0-62mph in 7.8 seconds. Prices are expected to start under £30,000, with sales commencing at the end of the year. Recommended car throttle shop Worldwide Shipping In The CT Shop Car Throttle Submit Your Videos To Get Featured On Our Social Channels News Chevrolet Finally Confirms The C8 Corvette And A July Reveal Date News Toyota Supra's Debut Time Revealed In "The Last Teaser" News There's A 2.0-Litre Toyota Supra And It Could Replace The GT86 News A Blind Man Has Posted A Top-10 Lap Time On The Top Gear Test Track News The Facelifted BMW 7-Series And Its Giant Kidney Grilles Have Been Leaked News A Design House Is Creating A 550-Based 250 GT Breadvan Homage News Elon Musk Is Building A Tunnel Beneath LA Where You Can Hit 155mph News Mazda Has Trademarked 'MX-6', But Why?